We've decided this is the biggest fleet of rowing boats assembled in Scotland since the Battle of Largs in 1263. To find out about some of the boats taking part read on. If you're bringing a boat that isn't on this list please get in touch and we'll add it right away! Orcuan is the flagship of GalGael, the social enterprise and charity that is organising the Clydebuilt Festival. She is a replica of a Birlinn, a Scottish Galley which would have provided effective transport throughout the west coast of Scotland up until around 400 years ago. She is 30 feet long, and powered by eight rowers using one oar each. Orcuan is used for giving local cummunities sail training experience. The St. Ayles Skiff was, designed by renowned small boat designer Iain Oughtred, inspired by the traditional Fair Isle skiff. The boat’s hull and frames are built using clinker plywood and it measures 22’ with a beam of 5’ 8”. The four rowers use one oar each. 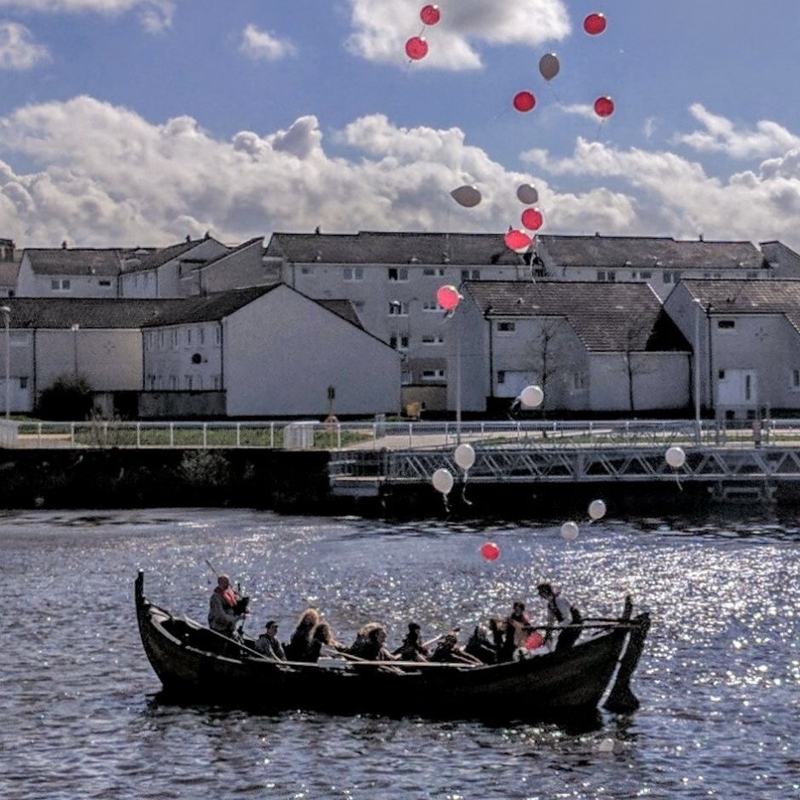 The boat design was commissioned by The Scottish Fisheries Museum and was adopted by the Scottish Coastal Rowing Association as its main racing class. Most of these boats are home built, by the communities that use them. The design has spread very quickly, firstly all round the Scottish Coast, and then abroad to (so far) Australia, New Zealand, Netherlands, United States, Canada, France, Northern Ireland, Republic of Ireland. There are now over 200 St Ayles skiffs built, and it is the most numerous class in Castle to Crane. Shetland yoals are lightly built in traditional clinker methods using larch. The are 23 feet in length and double ended with 6 planks. The are rowed by six rowers, with one oar each. The rowers sit “double banked”, that is two to each thwart. The lines of the Cornish Pilot Gig evolved over time driven by the requirements of fast, seaworthy, sturdy vessels for pilotage. The Cornish Pilot Gigs racing today are all built to a specification inspired by ‘Treffry’, built in 1838 by the Peters family of Polvarth, St Mawes, Cornwall. They are 32 feet long, and are built of timber using traditional methods. Each is powered by six rowers with one oar each, coordinated and steered by a coxswain. The Cornish Pilot Gig Association now has 69 member clubs and a register of over 190 Cornish Pilot Gigs. Most gigs are in the South West of England, but the class has spread from there with Pilot Gigs in use in several countries, including Netherlands, USA, Bermuda and Singapore. 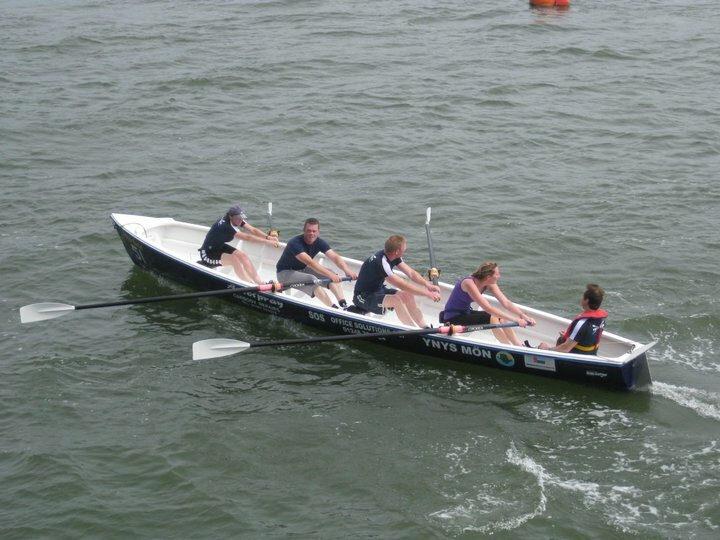 The Celtic Longboat is powered by four rowers, using one oar each, skippered by a cox, and has room for a passenger. The boat is 24 feet long. The developed from Pembrokeshire Longboats which were built, with a variety of finishes in the 1970s and 1980s. Celtic Longboats are mainly used in and around Wales' west coast, under the rules of Welsh Sea Rowing. The Celtic Longboat is a strict one-design, manufactured by “Dale Sailing” of Milford Haven. The hull is GRP, the oars are carbon fibre and the rudder aluminium. A Celtic Longboat weighs about 160kgs. Many carry advertising on the side of the hull, which will make them stand out from the other four oared boats in the fleet. This year we have two Portobello Class Jollyboats owned by Royal West of Scotland Amateur Boat Club. It was donated to Royal West along with two more by Portobello Watersports Club when they closed in the late 1980’s. Royal West were still racing this style of boat and hosting the annual Scottish Jollyboat Championships, so it was appropriate that they take ownership to preserve them. Jollyboats were the last form of fixed seat rowing boats used for competition on the River Clyde before clubs moved to finer sliding seat boats. Double sculls are rowed by two rowers with 2 oars each. A "randan" rig involves three rowers: the rower in the middle has two oars, and those in the bow and stern have one oar each. These boats are the smallest and most vulnerable in the fleet. Their light weight though makes them comparatively fast and nimble, and you will expect to see them near the front of the fleet at most points in the course. 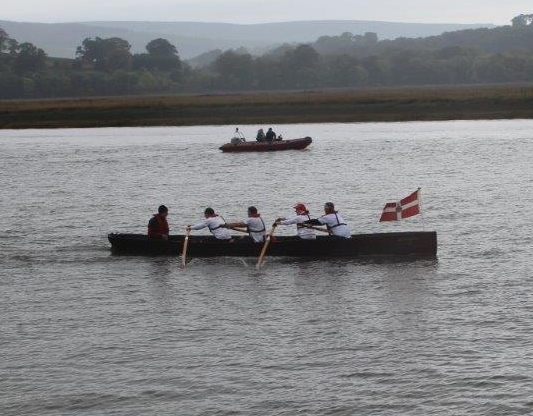 Two of the double sculls are from the "Teifi Skiff" class.